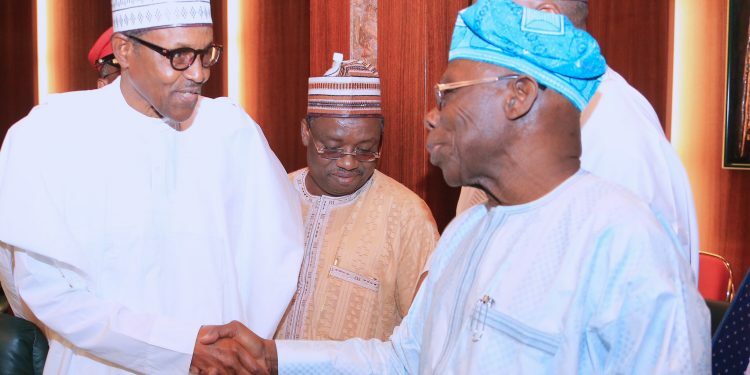 Addressing journalists in Sokoto on Tuesday while reacting to recent comments on President Buhari by the former president, the retired senior Air Force officer described Obasanjoâ€™s comments as unpatriotic. He further noted that such views might have been informed after he was asked to account for the nearly $6 billion being money that went down the drains under the guise of failed power projects. According to him, Obasanjo was, therefore, pursuing a personal vendetta against President Muhammadu Buhari, adding that, he would woefully fail. He recalled that it was Obasanjo who promulgated the infamous Armed Forces Decree in 1976 that, the late Nigerian Head of State, Gen.Sani Abacha used against him (Obasnajo), for his involvement in the military coup, together with the late Shehu Musa Yarâ€™adua and others, several years later. He added: â€œIt was also when he (Obasanjo), was a civilian president that he used military forces and raided Zaki Biam and Odi communities. He added that the achievements of President Buhari, in all sectors of the economy were more visible, as such, Nigeria would soon reach the promise land. Bala further noted that Obasanjo had recently authored a book in which he labelled the Peopleâ€™s Democratic Party (PDP ), presidential candidate, Alhaji Atiku Abubakar, his former deputy, as a thief. He, however, appealed to youths in the state and Nigeria in general, to be wary of some unpatriotic and nefarious politicians who are using them to perpetrate violence which does nobody any good. According to Bala such dastardly politicians have nothing to offer to the country, but wanton destruction of lives and property, as well as looting of public coffers.